Visibility/Location: There is no visible signage for the haunt, and no signs pointing to the haunt from the road. Despite this, though, the haunt is relatively easy to find as it is located in a busy area of Downtown Aurora (very close to Hollywood Casino Aurora). A good GPS will lead you right to it. However, the haunt itself is not actually visible from the main road given the in the address of the haunt (New York Street) If visitors turn left at the intersection of New York and River streets (as there is a parking garage to the left), then from this vantage point (leading into the parking garage) visitors can see the lines for the haunt and the ticket window from the street. Additionally, there is no signage proclaiming �Basement of the Dead� anywhere on the haunt itself. There is only a sign that says �Nightmares�, which is what the haunt used to be called, along with a bright red �Tickets� sign over the ticket booth. Obviously, if you see the line of patrons and the ticket booth you know you�re in the right place, but it was a bit odd not to see any signage with the actual haunt name, especially given that this haunt has been running for a number of years now. It is possible, given the fact that I was there at the very first event of the season, and given the fact that this event was actually held before the official start of the Halloween season, that there will be more signage once the season officially begins. Parking is ample as there are several parking garages located within a short walk of the haunt. While these are for the Hollywood casino, anyone can park there. There is a $4 fee to park unless one has a Hollywood Casino player�s card. If so, the parking is free. Also, there are parking meters scattered around, and they are free after 5pm. The best parking lot is the one located on River street, which can be accessed by turning left onto River from New York Street This garage is directly behind the main entrance to Basement of the Dead, so if you park there you can easily access the haunt. Wait Entertainment: On the night I visited there was a decent amount of wait entertainment. Given that this was a �pre-Halloween season� event, I wasn�t sure how much wait entertainment there would be, but there were four live actors working the crowd, including one dressed as Jason Voorhees who patrolled the line and stood at the end of it, providing both an easily identifiable entrance point in the line for visitors as well as some creepy wait entertainment. Also present were a clown on stilts, a giant Jack-O-Lantern headed creature (also on stilts), and a giant lumbering creature that looked like something out of a Muppet movie. All of the actors remained in character throughout, and stalked the ticket line and the lines for entry into Basement of the Dead and Shattered. The makeup and costumes were top notch, and acting performances ranged from silent, creepy stalking to friendly taunting and even some �in your face� moments. All were done well without being too over the top. Additionally, there was a live DJ spinning tunes. He, too, was completely in character, and even had a full face mask on. He looked a lot like a mental patient in some kind of restraint. In addition to DJing, he invited visitors onto the stage with him, binding their hands with duct tape and taking photos with them � a nice touch! Admission Price: For this night only, the admission price was $13 for Basement of the Dead or $18 for both Basement of the Dead and Shattered. Normal price is $18 for Basement of the dead or $25 for both. Parking: As mentioned, parking is free is you can find a meter, or $4 to park in one of the casino lots (also free if you have a Hollywood Casino players card). Scare Factor: Your mileage may vary on this, but for me personally it was Medium. I can easily see younger visitors seeing this as Medium-High or even High. It was definitely not a series of intense, in your face scares, but rather a combination of some well-planned scares (both animatronic and live) and some tongue in cheek �boo� moments. I am rating it Medium not as a reflection of the quality of the scares, but more as a reflection of their intensity. Crowd Control: Crowd control was excellent and paced out well. I and my small group did not encounter anyone either in front of us or behind us, despite the fact that there was a decently-sized crowd in attendance. We were able to walk at a leisurely pace throughout the haunt and take in details of some of the sets without encountering any jams or feeling as if we had to rush so that we wouldn�t hold up anyone behind us. As there were two haunted houses here, I will summarize each of them individually before giving my overall view. First, Basement of the Dead, which is the more traditional of the two. As the title suggests, it is held in a basement, and visitors have to descend stairs to enter it. From the moment one enters, it�s clear that the haunt makes effective use of space and relies on some elaborate set pieces as opposed to more simplistic sets. Initially, visitors traverse a long corridor lined with tall hooded figures. Ahead is a digital wall hanging showing various scenes. What is effective about this scene (as with several others inside the haunt) is that visitors do not know whether or not any of the figures in the scene are real. Although I passed about 6 hooded figures (including one at the bottom of the stairs) I had no idea if any were real, and waiting for one to potentially jump out really upped the enjoyment for me. Another excellent scene was a simple room filled with large, ghostly figures covered in white sheets. Rather than having walls that visitors had to navigate, the ghostly figures themselves formed the walls, forcing visitors to wind their way through them. A strobe light in the room gave the illusion of movement to the figures, again creating a scenario where visitors were unsure if the figures were real or not. Overall, Basement of the Dead made excellent use of available space. There was numerous twists and turns within the haunt, and most of the space within the haunt contained actual sets and/or actors. Very little space was taken up by empty corridors or a dark maze. While there was a dark maze portion, it was short, easy to navigate, and dark enough to disorient but not dark enough to make one completely lose one�s way, which can be frustrating. Also present were two spinning wheels through which visitors had to pass, and one giant blowup passageway that visitors had to force their way through. The setup certainly made it seem as though the haunt was longer than it actually was (which is a good thing) and I found myself a bit surprised that my stopwatch showed slightly less than 9 minutes when I came out. Special note must be made of the actors themselves. The haunt had many of them inside � at least two dozen as a rough count � and all but one of them had very elaborate costumes and masks on. Most had full, professional looking costumes, along with full head and neck masks. Favorites included a large alien type creature (complete with odd hissing/screeching breathing) in a long trench coat, and the two nurses in the hospital scene, both of whom posed, statue-like, as visitors entered the scene, making it difficult to determine if they were real or simply props. All of the actors stayed in character the entire time, and scared just enough to make visitors jump without overdoing it or getting in their faces screaming �Get out!� repeatedly. The scares were an effective combination of emerging from hiding places to surprise and creepy mumbling or odd movements that kept visitors off guard throughout. Basement of the Dead has what I personally love to see in a haunt: detailed, well-designed sets with creative actors who do more than simply scare, but rather �act� the part of undead/otherworldly creatures, creating a fantasy haunted world that really immerses you in it. Shattered, the second haunt, is a 3-D experience. On the face of it, this might seem as though it�s a cheap tactic to get visitors to spend money on the combo ticket, but Shattered is actually a decent haunt in and of itself, regardless of the 3-D aspect. As a result, the 3-D enhances the haunt rather than attempting to make up for a lack of anything interesting. Visitors are handed a set of 3-D glasses at the entrance, then are ushered into an elevator (not a real one) by a waiting ghoulish guide. 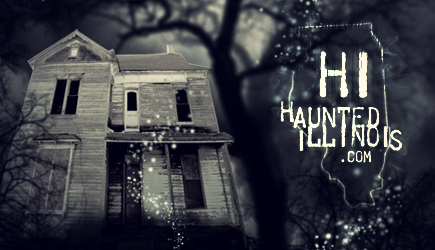 The elevator, like many similar setups in other haunts, �descends� into the haunt, suffering some type of malfunction that causes the lights to flicker and the car to shake before recovering and letting visitors out. Once inside, the 3D really takes effect. Everything has some type of 3d effect to it, from the walls to the floors, to things hanging from the ceiling, to the actors� masks and costumes. Thus, there is a lot to look at. The theme is one of a carnival, so naturally there are a lot of clowns, but there are other types of effects as well. Throughout most of the rooms there are life size clown dummies that bounce back and forth if you happen to bump into them, making them look as though they are moving to others in the room. In addition to the static props, there are numerous live actors, most dressed as clowns, who wander through each room. Their makeup is such that parts of their faces look as though they are coming out at you, using the 3D to good effect. As mentioned, there are many different rooms, including one with a giant gorilla and trainer (the gorilla is a prop, but the trainer is an actor), one with huge floating eyeballs and a giant one-eyed monster, as well as a live actor who runs around asking for visitors� eyeballs. Our favorite room featured a full size ice cream truck, complete with �ice cream man� music in the background, along with a crazy ice cream vendor. In fact, this actor surprised me as he was waiting inside one of those inflated passages that you have to force your way through. He popped up in the middle, got in my face for a split second, then took off laughing � very well done! One other actor I have to mention � he was dressed as a clown and hidden behind a sliding panel. He popped out and in a high voice said �surprise!� or something to that effect. I laughed and applauded him as it was pretty funny. As we rounded the corner, he popped out of another panel, saying something like �it�s me again!� and I laughed and applauded once more. Finally, as we left the room, he popped out of a THIRD panel and said something like �third time�s the charm!� in a high, singsong voice. It was funny and a bit creepy at the same time � a nice mix! At the very end of the haunt there was a giant clown head that moved toward you and laughed, all in 3D. Overall, Shattered was an excellent experience, and well worth the extra money to go through it. It was also a nice change of pace from the more intense scares of the main haunt. In summary, I�d say that Basement of the Dead/Shattered is a decent haunt experience. It�s high quality, with excellent sets, costumes, and actor enthusiasm, and has a decent mix of scares and creepiness. The price for both haunts ($25) may be a bit high due to the brevity of their length, and they do need to get some better signage, both to direct people going to the haunt and to attract those who might be passing by, but the quality of the experience and the enthusiasm of those running the haunt show through. It certainly didn�t seem like they were just out to take visitors� money, which is a good thing!